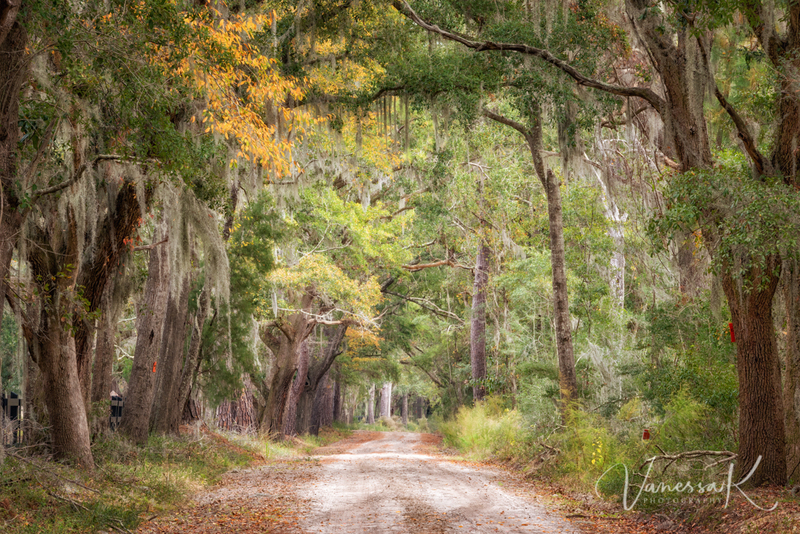 I enjoyed my visit so much last weekend, that I decided to spend some more time poking around the more "tucked away" lanes on Edisto Island. 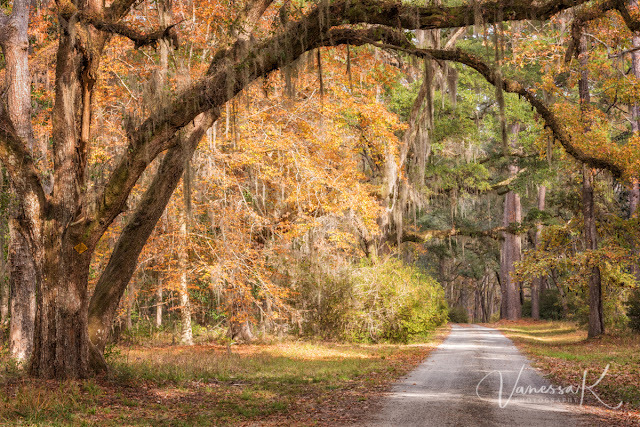 I was disappointed earlier this year when I completely missed the timing of fall color in the Blue Ridge Mountains, so this has been somewhat of an unexpected bonus. 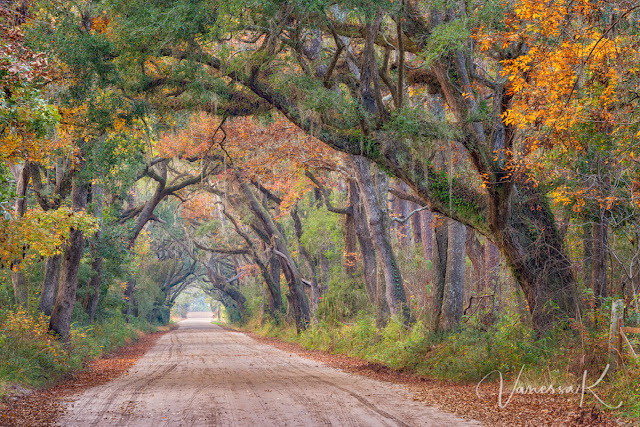 More subtle, but very lovely, as the low country displays its fall splendor.